Other Workshops charge $900-$1500. To Learn 1-3 finishes , then try to upsale you on tools and products you dont need!! They Sale Classes/products. I dont sell products, I SHARE VALUABLE information/techniques, and having installed over 1 million s.f. of finishes since 1985. I know its easy to Faux. Learn my techniques, color steps, to TRANFORM YOUR INTERIOR. Only $325. p.p. (10) OF MY HOTTEST FINISHES!!! TAKE HOME SAMPLES OF EACH FINISH!!!!!! CALL MY CELL TO ADD YOUR NAME AS ATTENDEE. NO DEP. NEEDED. Visualize the walls of a centuries-old chateau in the south of France. Hand-troweled texturing and glazing is the most popular faux finishing technique. 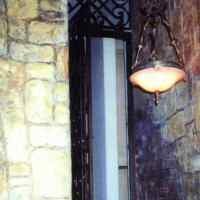 The effect is classic, and mimics gracefully aged walls from historic European architecture. Michael Graves’s textured, three-dimensional faux brick fools the eye and the touch. Some of Michael’s most popular brick color finishes include Tuscan brick, New Orleans brick, and old Chicago style. Faux brick can be combined with sections of hand-troweled texturing to create the effect of exposed brick peeking out from behind old plaster walls. Picture the weathered and worn ceiling and walls of an ancient French wine cellar. Raised texturing and stucco patch are a couple of the ingredients used to create this warm, and hardy, stone wall finish. There are an infinite number of design possibilities with embossed stenciling. Raised stenciling over plaster walls creates a beautifully customized and artistic effect. When used on cabinets and furniture, Michael Graves embossed stenciling techniques mimic the look of hand-carved wood designs. 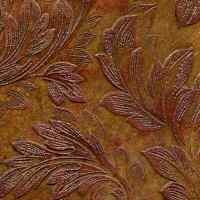 Venetian plaster is arguably the most elegant replication of old world wall finishes. The effect is achieved by hand burnishing Venetian plaster to a glossy sheen, yielding the soft, luxurious effect of polished stone. Imagine leather-textured walls in a private study, or a cozy cigar room. This is one of Michael’s most exclusive finishes. Burlap, plaster, and a proprietary finishing process are combined to create faux leather wall finishes in a variety of rich colors. Antique and reproduction ceiling tiles are very desirable, but also expensive. Michael has developed a technique using embossed paper to replicate the same look, for a fraction of the cost, and in a variety of finishes (including rusted, copper, and bronze). 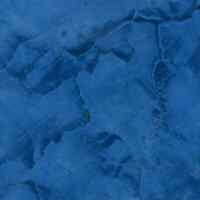 A layering of colors that appearing worn, distressed, and yet vibrant or rich is timeless, durable and extremely popular. 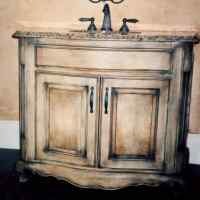 Distressed painting is a fabulous technique for kitchen cabinets and wood furniture.